If you die without a will or other means of specifying how to distribute your estate, the law states that you have died "intestate." As a result, the distribution of your property may or may not be in line with your wishes. Consult with a legal professional who specializes in wills and estates about specific questions pertaining to your circumstances. Within a well drafted will, you will state how you want your estate distributed and who will act as executor(s) to administer the distribution of your estate and payment of your creditors. When you die without a valid will, the state determines how your assets will be distributed and appoints an administrator who takes on much the same duties as a named executor. Laws on distribution and administrator appointments vary by state. Many states have a predetermined system to distribute the property of a person who dies intestate, known as intestate succession. In many states, intestate succession determines that a living spouse inherits the bulk of the property, along with any living children. If the intestate person is not married and has no children, the parents often inherit the estate. Siblings may also inherit part of the estate. 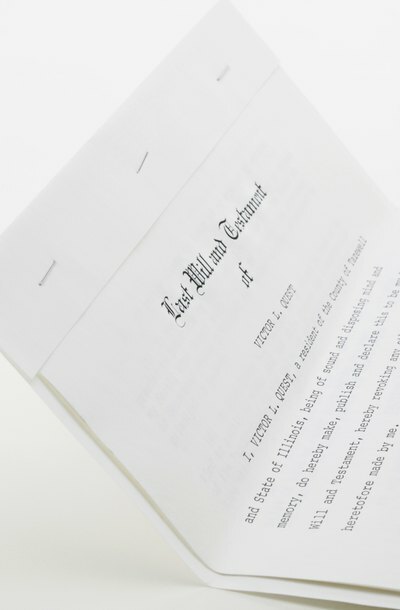 In many cases, grandchildren only inherit property from the estate if their parents are dead. Stepchildren, nieces and nephews or other relatives often inherit nothing. Courts often prefer to appoint family members to perform the role of administrator, however, the procedure involves meeting specified requirements that may complicate matters. In addition, different family members may have disputes about who should serve as administrator; such disputes may delay the distribution of the estate. Community property is defined as property or assets accumulated during a marriage by members of a married couple, with exceptions for individual inheritances, gifts and property owned separately by each spouse before the marriage. Community property laws in nine states -- Arizona, California, Idaho, Louisiana, Nevada, New Mexico, Texas, Washington and Wisconsin -- impact the process of intestate succession. In these states, the spouse legally owns half of of the marital property; only the remaining half is subject to distribution under intestate succession rules. Lancaster Law Blog: What Happens If You Die Without a Will? In general, an heir is a person who is entitled to inherit all or part of a deceased person’s estate. However, in legal terms, heir has a narrower meaning. The term "heir” specifically refers to a person who inherits assets from the estate of a person who died without a will. There are two major types of heirs.